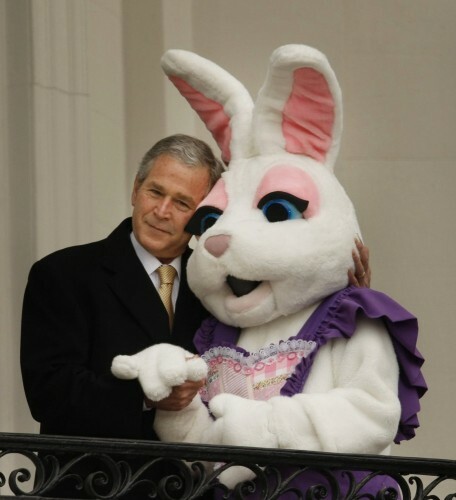 So Bush is a furry..
@one: Nah, he’s a furry sympathiser. Obviously. In the next picture the Easter Bunny is being waterboarded. @Puulaahi: The Easter bunny is tough; he can take it. George has found his safe place.